Please DO NOT use the “Recurring Schedule” option. Only use the “Regular Schedule” or “Irregular Schedule” options. This video is for “Requesters” only. Click here to view video in new browser window. FSDirect Requester Training from Karen Holt on Vimeo. 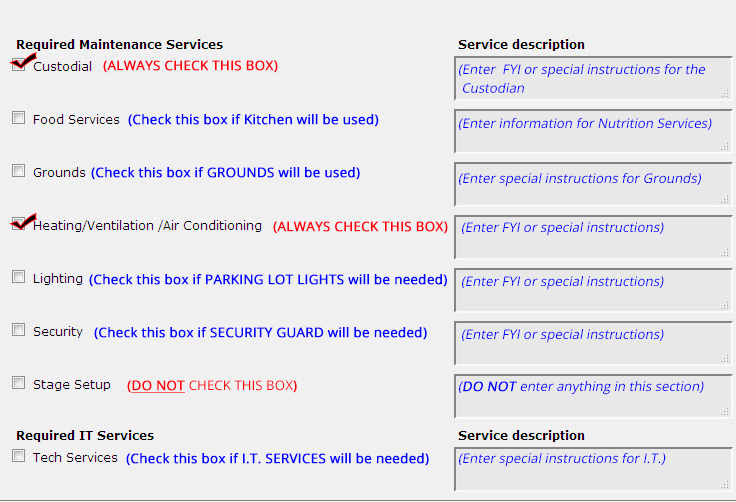 Note: Tasks already generated for events will not reflect changes in service description.